Be the best trainer to teach lure training for your dog. 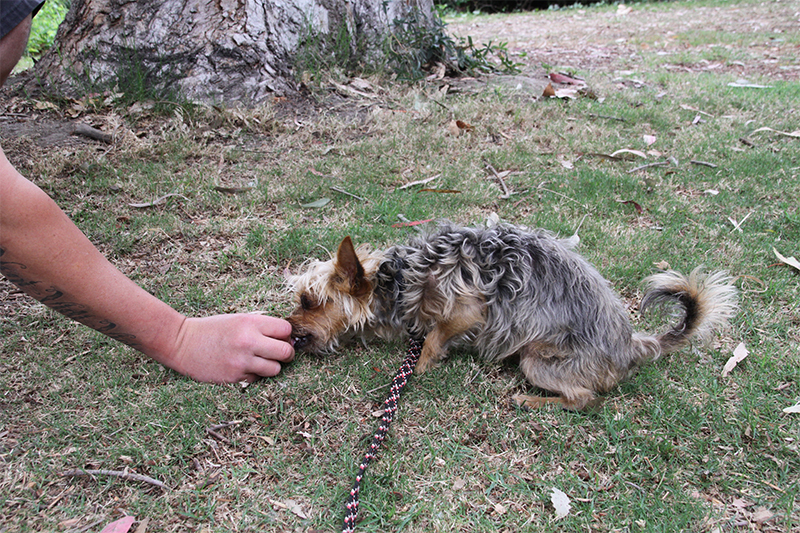 Luring is when the trainer guides the dog in the direction they want the dog to be in. For example, when teaching “sit,” one would use a treat about 3-4 inches from the pet’s nose and slowly bring the treat over the head, gradually promoting the dog to rock back into a “sit” on their back end. One of the important factors to keep in mind when teaching the positive reinforcement luring technique is to keep the treat within a few inches of the dogs muzzle and to not reward too soon. You may be asking yourself how frequently should you be giving your dog the treat essentially, reward when impressed. Just as technological advancements ideally make changes for the better, the same holds true with utilizing new dog training methods. Luring is far easier to do initially, and you will see results fast. However, if later on you do not have food to lure the dog with, they may not always do what you want. For that reason I think free shaping is more cutting-edge. Once again, this is how I did things in the past. As a dog trainer, I am certainly not going to say that luring can’t or doesn’t work, but I will say there are better ways. One of the reasons I have moved away from luring is that the canine relies on the owner too much. I prefer a pet that is more independent. Imagine a human who cannot make a decision on their own… some of the married folks may be able to relate. If so, you can also attest to how it can be a little unpleasant to have a spouse that continually asks questions, seeking reassurance. If our goal is to have a confident canine, then consider that too much handler assistance interferes with the dog’s ability to be a free thinker. Additionally, dogs that actively try to think also attempt to solve problems and figure out what their owners want… doesn’t that sound great? 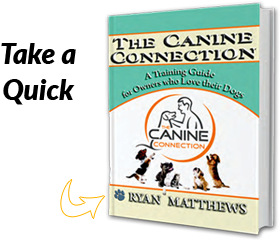 In the dog training industry, trainers often think that their way is the only right way. Let’s face it, doctors have different schools of thought, lawyers have different approaches, teachers instruct through various modalities and dog trainers have differing training systems. I feel compelled to share this with you in case you may have found conflicting information while conducting your online training research. So, please keep this in mind and know that there are many approaches. Myself, Ryan Matthews, the dog training trip provider in Orange County I prefer to remain open-minded, and always will. I make every effort to teach and share the training method which will be the best fit for my client and their dog. In my private business, one of my clients was a bone cancer patient. It was 100% crucial that his dog did not pull him down as the outcome could have been devastating. When training your dog simply use what works for you and if by chance something doesn’t work, then change your approach and put effort and energy into the things that feel and seem right for you and your pet. Luring: Helping the dog into the “down” with guidance of the treat. Nearly as important as the timing of the reward is the position and placement it is given.